Isiah Factor | The Insite » TWELVE PEOPLE GO DOWN IN MAJOR DRUG BUST! TWELVE PEOPLE GO DOWN IN MAJOR DRUG BUST! September 6, 2008 | Posted in Uncategorized | Comments Off on TWELVE PEOPLE GO DOWN IN MAJOR DRUG BUST! 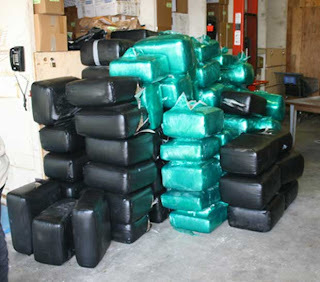 $1.3 MILLION IN DRUGS SEIZED! A bond hearing was scheduled today in McAllen for 12 men arrested after a DPS Narcotics operation seized more than $1.3 million dollars worth of marijuana and 12 vehicles, including two 18-wheelers. 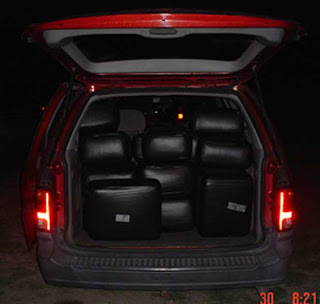 The 3,106 pounds of marijuana, packaged in 108 bundles, were confiscated Saturday in Pharr after a four-day investigation that began when a DPS Narcotics investigator noticed something odd about one of the 18-wheelers. Investigators also seized nine vehicles and a trailer in addition to the 18-wheelers. 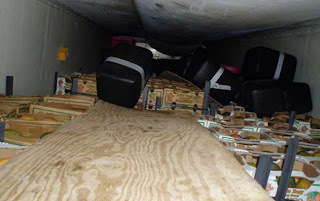 Members of the DPS Aircraft Service, Highway Patrol and the Pharr Police Department assisted in raiding the loading site. Narcotics investigators say the marijuana was most likely destined for somewhere in the north-central U.S. The suspects were released to the U.S. Marshals Service, and the Southern District U.S. Attorney’s Office in McAllen accepted federal drug charges on all defendants. The suspects are from McAllen, San Juan, Mission, Pharr, Memphis, Tenn., and Mexico.